Isn't it true that travel makes you wiser and it is also travel that brings yourself to you? I love to travel and among all I love to travel the mountains. Be it the Himalayas or the Sahyadris. When I say this, it would be ironic to mention about my fear of height. But that's the sad truth I have to live with or in time overcome it. But the phobia doesn't stop me from planning to visit these beautiful mountains. It is their grandness that overwhelms you, it’s beauty that makes you feel loved but it is also their steep fall that makes brings the reality of your mortality to you. When we planned our trip to Kinnaur, Himachal Pradesh in March, I was looking forward to seeing the beauty of Himalayas in off season. Tons of snow, calm appearing glaciers and the vapour released by your each breadth, a dream for a Mumbaite, isn’t it? 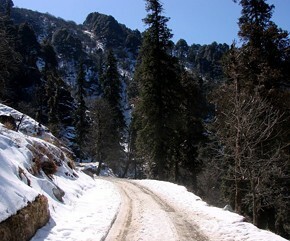 After enjoying most of the snow in Kinnaur, we started our travel to Manali. We were in our rented Innova and on the helm was our driver Mr. Vinkel. Vinkel had been a good driver and host. 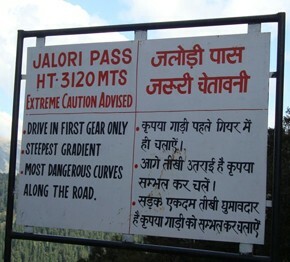 We took the Jalori Pass over the longer route via Shimla. Jalori Pass is a high mountain pass at an elevation of 10,800 ft (3.120m) above the sea level, situated in the Kullu district of Himachal Pradesh. A few hours had passed and we were gaping at the steep path ahead. Vinkel pointed out to the top, “See there?”, he said. “The top of the trees are white. It means there is a snowfall at the top. If we do not pass it before evening, we will have to stop. It could be a trouble”. We looked at the faraway forest dumbfounded. What we gathered from his statement was not that snowfall could be a trouble but the thought of going up there so high. I looked down the steep slope from the window to my left. It was terrifying. We kept travelling up. We heard Vinkel say he hasn't seen any vehicle coming down the other way. We nodded and he kept on the pace. After a while there was a vehicle coming down. The two drivers greeted each other. The other man said the snowfall has started at the top. He heard from someone a car crossing the pass some thirty minutes earlier. And that would be less risky for a car like Scorpio than ours like Innova to attempt it. We all agreed to keep going b’coz if we’d stop, we would be stuck there, we wouldn’t know when the roads will be cleared. “We should cross the pass before it gets dark”, Vinkel said. We nodded, not wanting to be left behind of the schedule. By the time we reached the top, it was dark. And there was snow every where. I looked around. The check post looked like an abandoned village now gripped under snow storm. Vinkel sighed. The snow and the darkness had finally got us. My parents and I were struck, now realising the gravity of the situation. It would be difficult to drive down. Going up wasn't much but going down needs grip on the road with a steep slope, especially the one covered with snow. But without proper shelter, staying the trip was also not an option. Vinkel got out and inspected the situation. When he was back he said, he could see tyre marks, probably of the supposed car which had passed thirty minutes ago. “The snow is soft”, he said, “if we get down before the snow hardens we would be lucky. We have to move”. My parents were wide eyed. The snow was coming down hard, and when I peeped out, it looked very beautiful white against the black blankness. It was the first time I had seen snowfall and I felt like blessings coming down upon me in the dark. The damp air was clouding the windshield. So Vinkel started the AC. And with it came a gust of fragrant air with a crispness of green and a hint of flowers. The freshness was so assuring at the moment, that we all took a deep breath, filling our body and mind with confidence. Ready?, Vinkel asked. We sucked some air, the pure fragrance, soothing our tension, just what we needed. “Yes”, we replied. Slowly, our car moved forward, running over the tracks left behind by the previous car and finally we reached down safely. When we drank hot tea in our hotel that night, each one of us was silent, trying to understand, the experience sinking in and thanking God repeatedly. But the real hero was our driver Vinkel, who did not loose confidence and took us to safety (later he confessed it was a first-time situation for him too). Nature can throw you into a storm but it will also give you the strength and courage! This post is written for Indiblogger contest - #InspireAFragrance. To know about different inspiring fragrances, check out GodrejAer website. 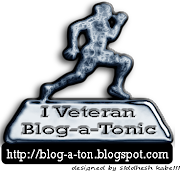 PS:.This post is not fiction, in fact I left out a lot of details for brevity. I wish I had taken a few pics of the night but we were very busy in watching the path ahead and clearing the windshield off the dampness. Our hearts were in our mouth!